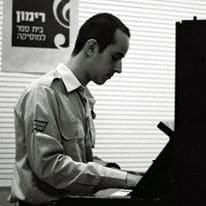 Tom Oren, 24, from Tel Aviv emerged winner of the Thelonious Monk Institute of Jazz International Piano Competition in New York this week. He gets $25,000 and a recording contract. Isn’t this a student competition? Thus, aren’t all the winners unknowns by default? Not exactly. Competitors can’t be older than 30 at the time of the event. They don’t have to be students and I’ve recognized the names of some competitors in previous years. Jason Marsalis, Wynton and Branford’s younger brother, was a competitor back in the early 1990’s, the year it was held for drummers. Outstanding and harmonically rich. He takes us on a trip through all sorts of hills and valleys around the chord changes. Good luck to the youngster! He wouldn’t be Daniel Oren’s little boy, would he?